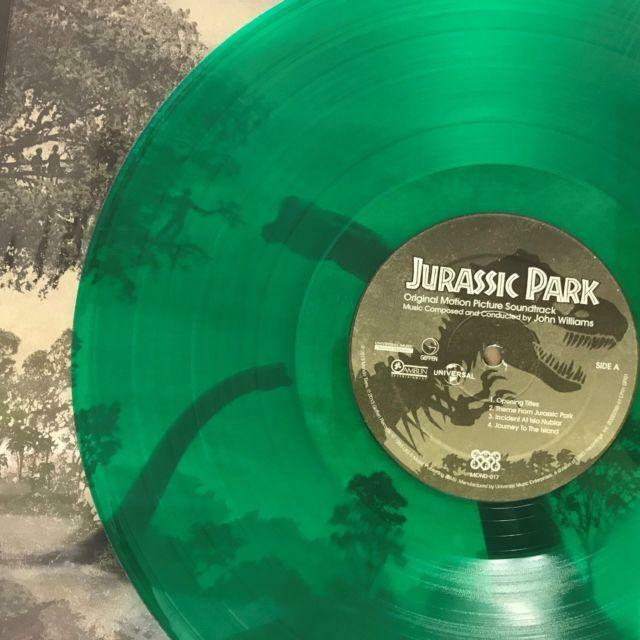 Jurassic Park - 25th Anniversary Edition on Green Vinyl available! JURASSIC PARK, Steven Spielberg's 1993 classic, is still thought of as one of the masterworks of blockbuster cinema, and the foundation for a franchise that continues to dominate today. But back in 1993, this collaboration between composer John Williams and Steven Spielberg was the next in line in a series of over a decade of fruitful collaborations that included such works as CLOSE ENCOUNTERS OF THE THIRD KIND, JAWS, E.T. THE EXTRA TERRESTRIAL, and RAIDERS OF THE LOST ARK. Original Cover Artwork and Layout by JC Richards. Now available and shipping next week we have the very first copies of the Translucent Green Vinyl edition on 2xLP (180 Gram) in the I Am Shark store. Illustrated movie posters are making a come back!